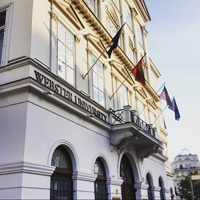 The European Branch of the American Counseling Association (EB-ACA) has announced that the 60th Annual EB-ACA Conference will be held at Webster University in Vienna, Austria, Sept. 27-28. This year's conference theme is Counseling Around the World: Reaching Beyond Borders -- a reflection of the past, present, and future of international counseling issues. Proposals are being accepted for 50-minute content sessions and for student poster presentations.